The budget-rate bus ride from the hotel can have you drenched to the bone long before you've made it to the deep water solo routes of the Bay. 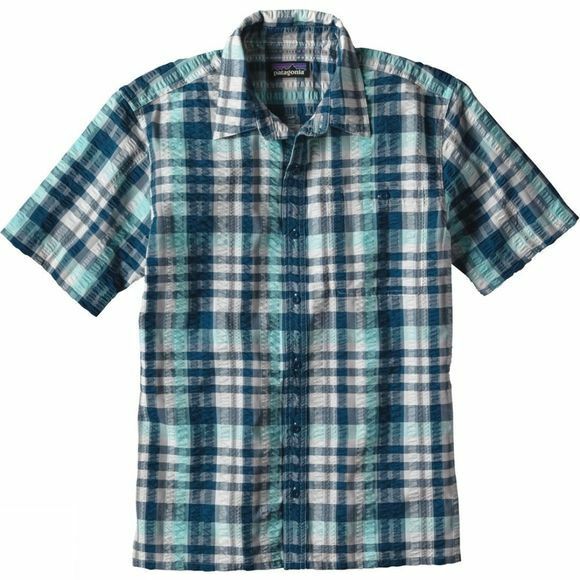 A long-time favorite for travel in hot and humid conditions, the Men's Puckerware Short Sleeve Shirt keeps you cool and comfortable through muggy days on the road. Patagonia have used a recycled polyester and organic cotton lend, which is crinkle weaved so it stays loose and lifts away from the skin, allowing air to circulate and moisture to dissipate. It also resists wrinkling, washes easily and dries in a flash. With a button-through left-chest pocket, side vents and a straight hem the Puckerware is ideal for warm conditions.